Calamondin, Citrus mitis, is an acid citrus fruit originating in China, which was introduced to the U.S. as an "acid orange" about 1900. This plant is grown more for its looks than for its fruit edibility and performs well as a patio plant or when trimmed as a hedge. 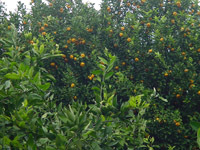 It is hardy to 20 degrees F. and is hardier to cold than any other true citrus specie---only the trifoliate orange and the kumquat are more tolerant to low temperatures. The edible fruit is small and orange, about one inch in diameter, and resembles a small tangerine. The peel is thin and smooth, yellow to yellow-orange and easily separable. Calamondins can be grown as a dooryard tree as an ornamental and will do very well as a tub or container plant in colder regions that commonly do not grow citrus. It is moderately drought-tolerant. Calamondin potted citrus plants prefer bright light for best growth and fruiting. You may keep them at medium light intensities during midwinter. The calamondin orange is the most popular potted citrus, although Meyer lemon and Ponderosa lemon are also satisfactory for home use. The smaller citrus types (calamondin, limes, kumquats, lemons and limequats) are best suited to container culture, but all will only grow for a limited time before they become root-bound trees. Calamondin plants are not well adapted to the house environment. They grow best outdoors in direct sunlight or half shade. Indoors, they should be placed in a very well lit area. During the warm months, they should be placed outdoors. A temperature range of 70 degrees F. to 90 degrees F. is adequate. Calamondins do not grow well at temperatures below 55 degrees F. Water plants as needed only, excess or lack of water will kill a tree. Allow the surface inch of soil to become dry before watering. Fertilize sparingly during the winter months using one-half strength water-soluble fertilizer (Miracle Grow, Rapid Grow, Peters 20-20-20) but frequently, about every five weeks. Add a slow-release fertilizer such as Osmocote to the container in early spring and continue fertilizing with full strength water-soluble fertilizer monthly during the summer growing season. Dusty leaves usually result in mite and scale infections, water the leaves with a sponge frequently to avoid these problems which may cause serious problems in small tree. 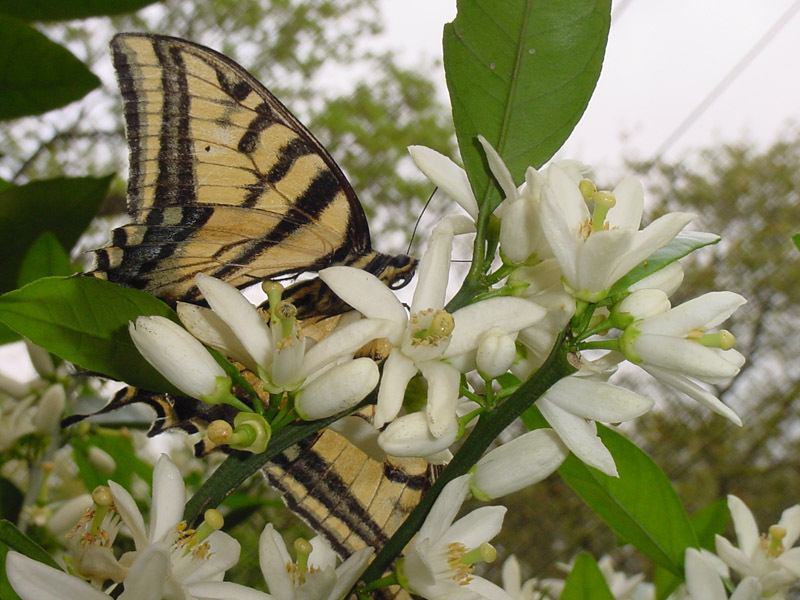 There usually are four or five flushes (periods of new growth) on a citrus tree each year. Each flush is capable of producing flowers and setting fruit but most citrus in Texas rarely produces any flowers or fruit after the spring growth flush. The exceptions are lemons and limes which can flower and set fruit almost year-round, as do kumquats and calamondin. 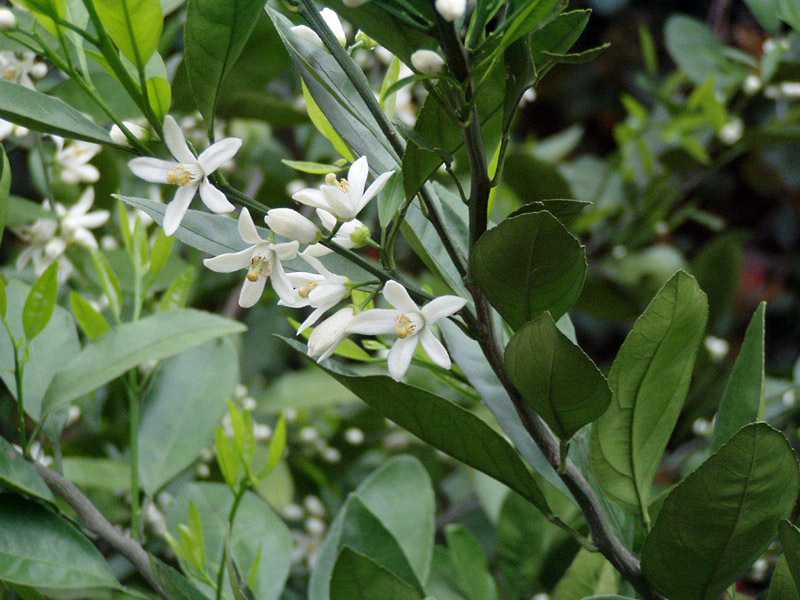 The calamondin, which is often trained as a bonsai, will bloom year-round -- filling the air with the aroma of citrus blossom. Flower and fruit often will appear at the same time. Off-bloom (i.e., non-spring flush) fruit of oranges, tangelos, grapefruit and others are puffy, having a very thick peel, and sheep-nosed in shape. The calamondin fruit takes nearly a year to ripen so it maintains its ornamental value to the landscape longer than most citrus. Mature fruit can be produced year round but are most abundant from November to June and sweeter at the end of the season. One calamondin is about 12 calories, with a very small trace of fat. It contains approximately 1.2 g fiber, 37 mg potassium, 7.3 mg vitamin C, 57.4 mg IU vitamin A, 8.4 mg calcium, 15.5 g water and 3.1 g carbohydrates. 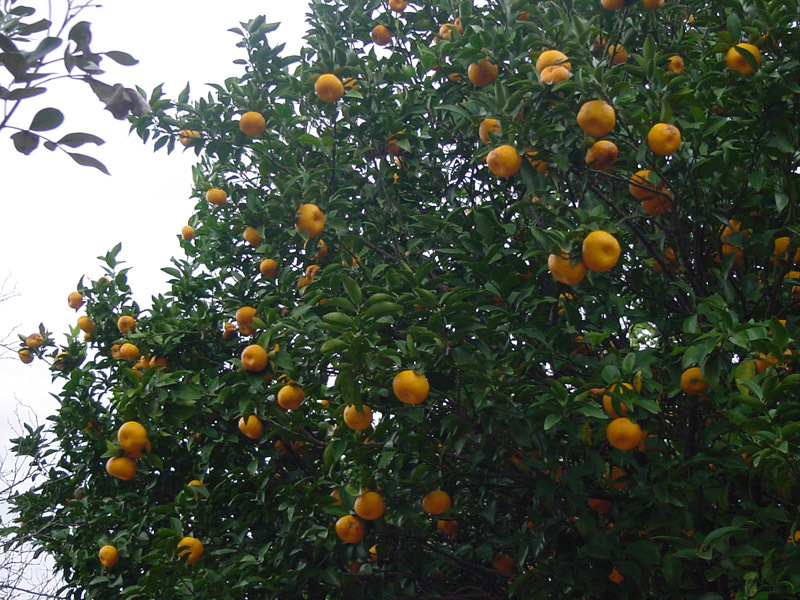 Calamondins are thin skinned and do not keep long once removed from the tree. If you want to eat the fruit, choose firm, yellow to yellow-orange fruit. Avoid fruit that is soft and over- ripe. The calamondin fruit can take up to a year to ripen into an orange color. But the orange colored fruit is sometimes over-ripe and not as pungent. 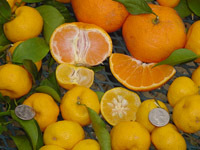 The answer to this is to begin to harvest the fruit when they are "half-ripe" and just beginning to show color as described for satsumas on the PLANTanswersTV Web site. The fruit is smaller than a typical lime, have a thinner skin, and seem best used within a week after harvest if not refrigerated. 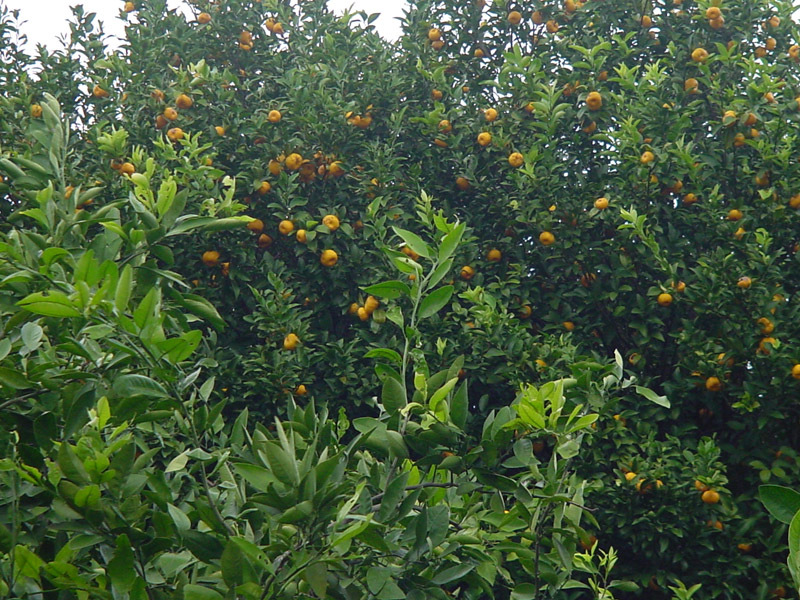 When picking the fruit, it is best to use clippers or scissors to get them off of the tree, rather than pulling them. This will keep the stem end of the fruit from tearing, which promotes deterioration. The juice of the calamondin can be used like lemon or lime to make refreshing beverages, to flavor fish, to make cakes, marmalades, pies, preserves, sauces and to use in soups and teas. The juice can be frozen in containers or in ice cube trays, then storing the frozen cubes in plastic freezer bags. Use a few cubes at a time to make calamondinade. The juice is primarily valued for making acid beverages. It is often employed like lime or lemon juice to make gelatin salads or desserts, custard pie or chiffon pie. In the Philippines, the extracted juice, with the addition of gum tragacanth as an emulsifier, is pasteurized and bottled commercially. This product must be stored at low temperature to keep well. 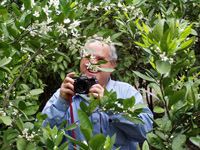 The juice of the calamondin also makes an excellent hair conditioner. Pour 1 liter of boiling water over thinly sliced fruit. Let it steep. When water is cool, pour through the hair as a final rinse. The fruit juice is used in the Philippines to bleach ink stains from fabrics. It also serves as a body deodorant. Rubbing calamondin juice on insect bites banishes the itching and irritation. It bleaches freckles and helps to clear up acne vulgaris and pruritus vulvae. It is taken orally as a cough remedy and antiphlogistic. Slightly diluted and drunk warm, it serves as a laxative. Combined with pepper, it is prescribed in Malaya to expel phlegm. The root enters into a treatment given at childbirth. The distilled oil of the leaves serves as a carminative with more potency than peppermint oil. Calamondin halves or quarters may be served with iced tea, seafood and meats, to be squeezed for the acid juice. Some people boil the sliced fruits with cranberries to make a tart sauce. Calamondins are also preserved whole in sugar syrup, or made into sweet pickles, or marmalade. A superior marmalade is made by using equal quantities of calamondins and kumquats. The preserved peel is added as flavoring to other fruits stewed or preserved. 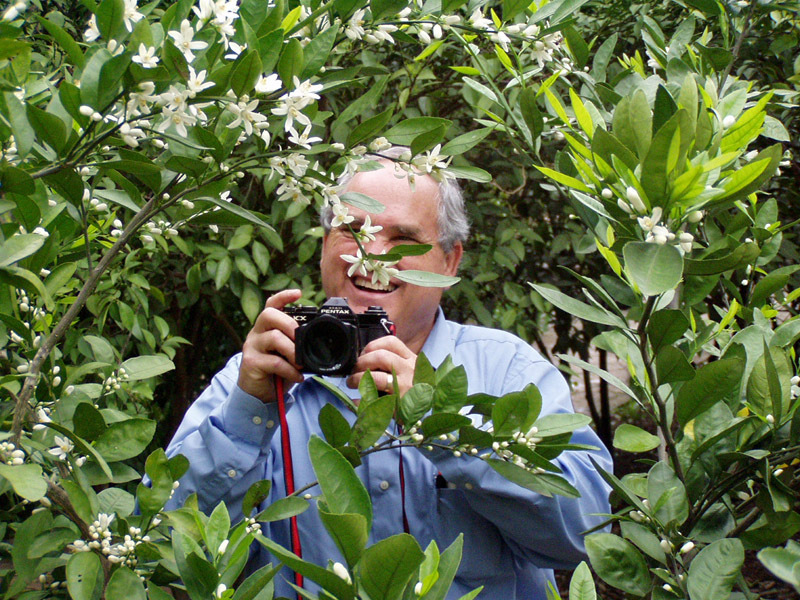 Many calamondin recipes can be found on the web. 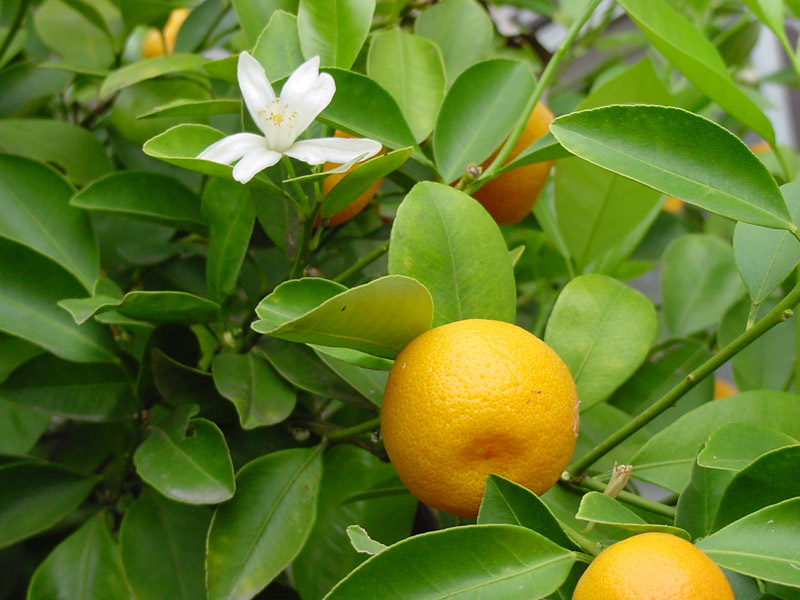 Calamondin trees may be easily grown from seeds or as rooted cuttings. The flowers are self-fertile and require no cross-pollination. A seedling tree will produce a crop of fruit at the age of two years and will continue to bear nearly year round. Trees can be forced to make a flush of growth and bloom by simply withholding all water until the leaves become wilted and roll up, then thoroughly watering the plants----the calamondins will be in full bloom within two months. This is a similar mechanism used to induce flowering of bougainvilleas and amaryllis---give them a dry period followed by adequate watering.